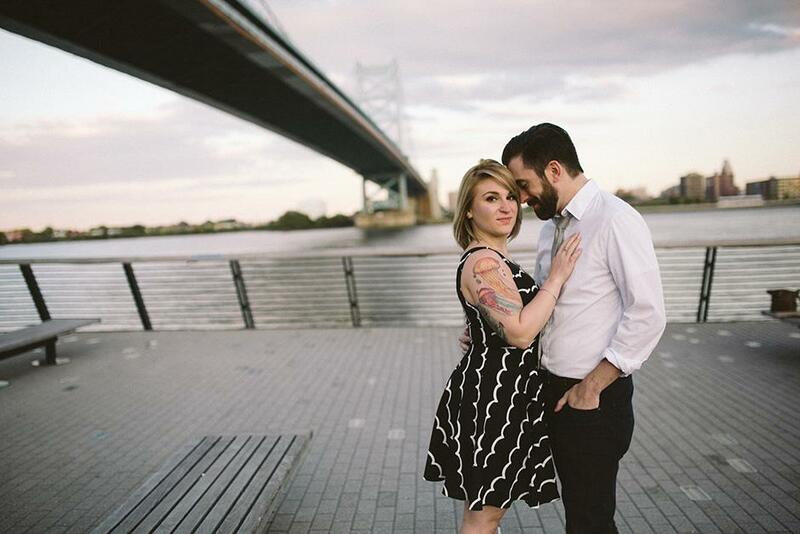 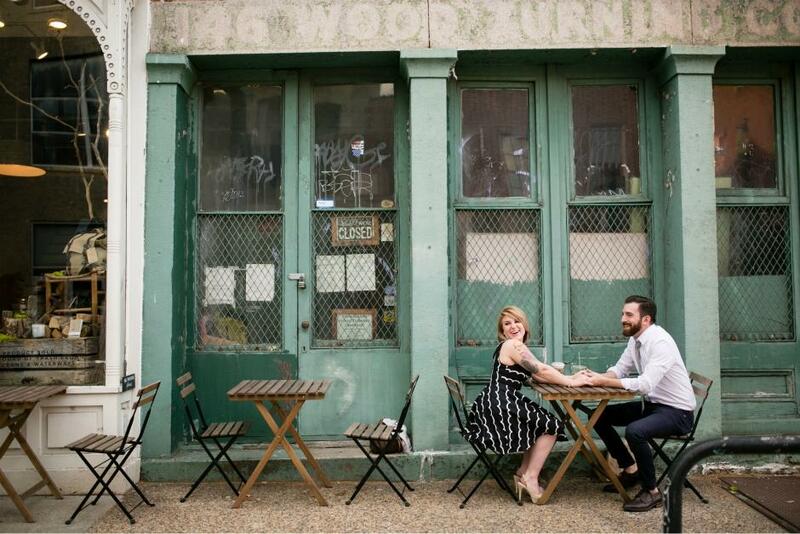 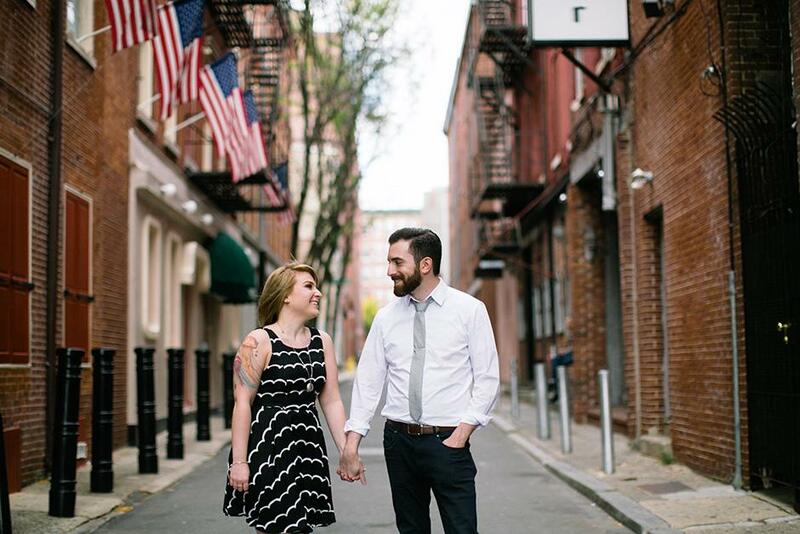 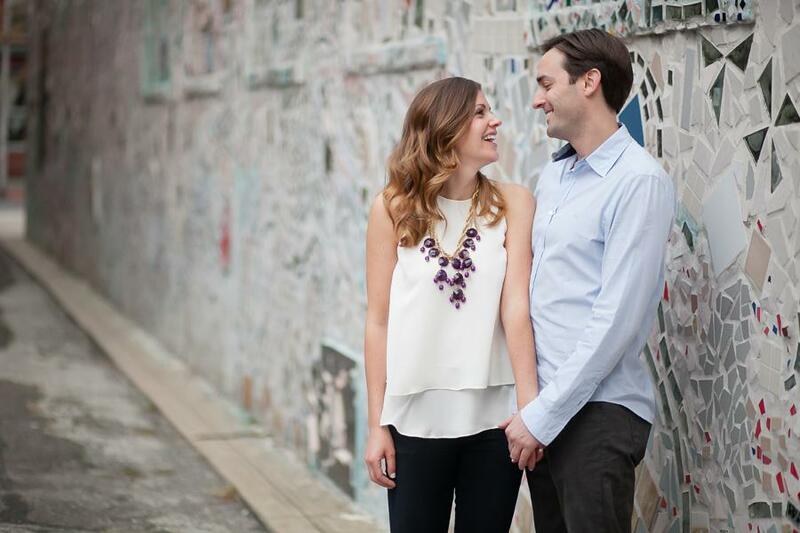 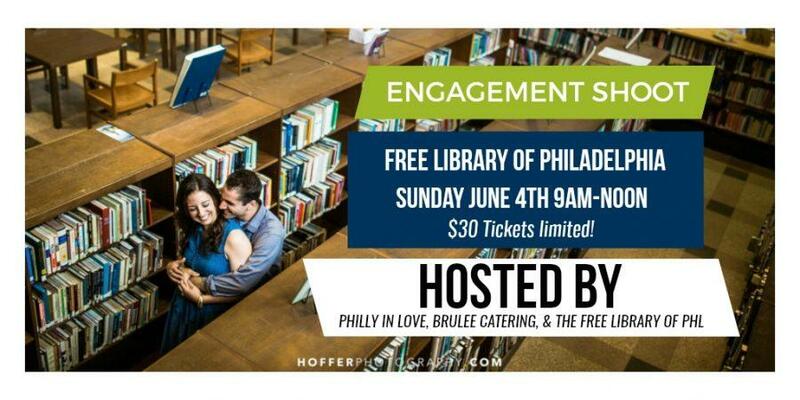 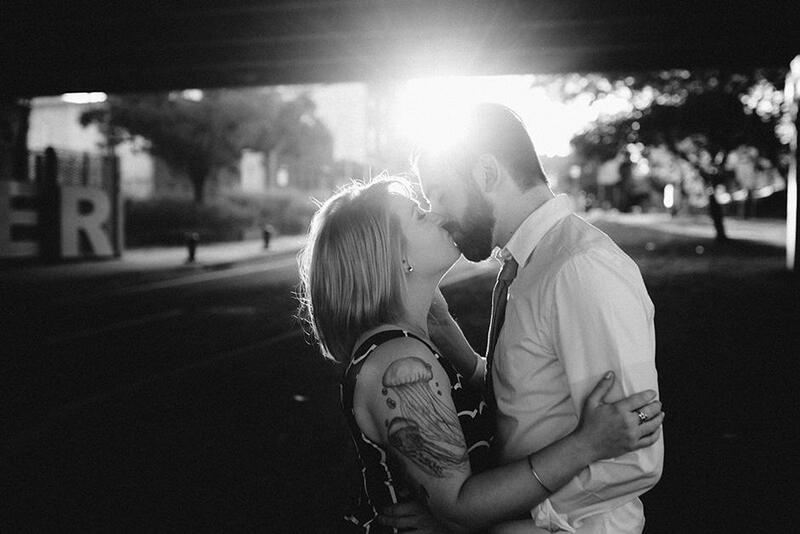 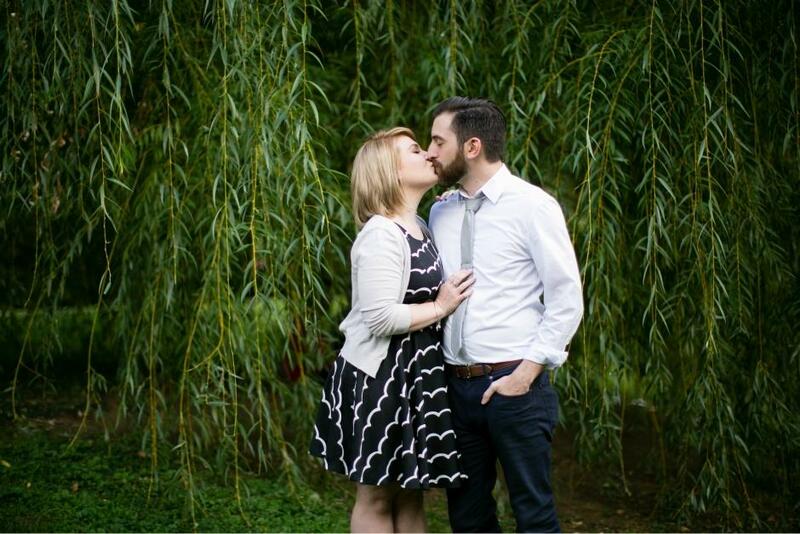 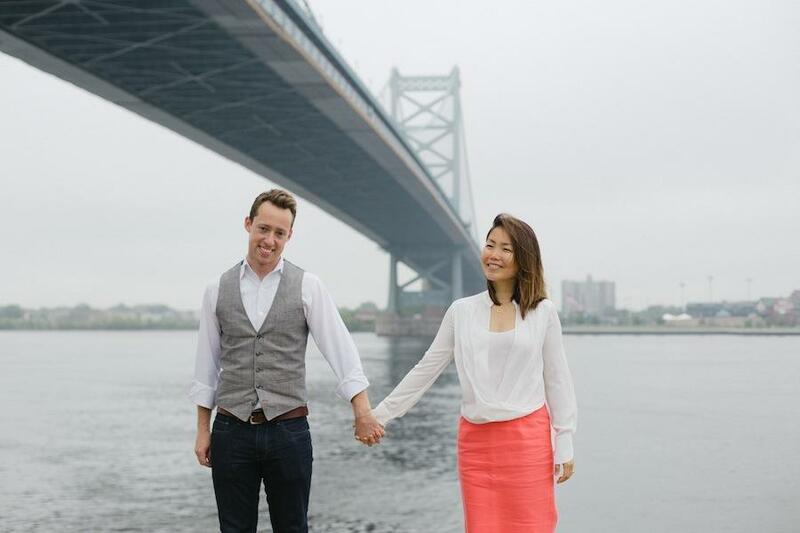 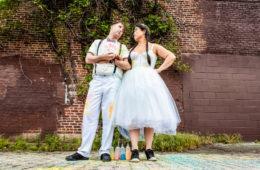 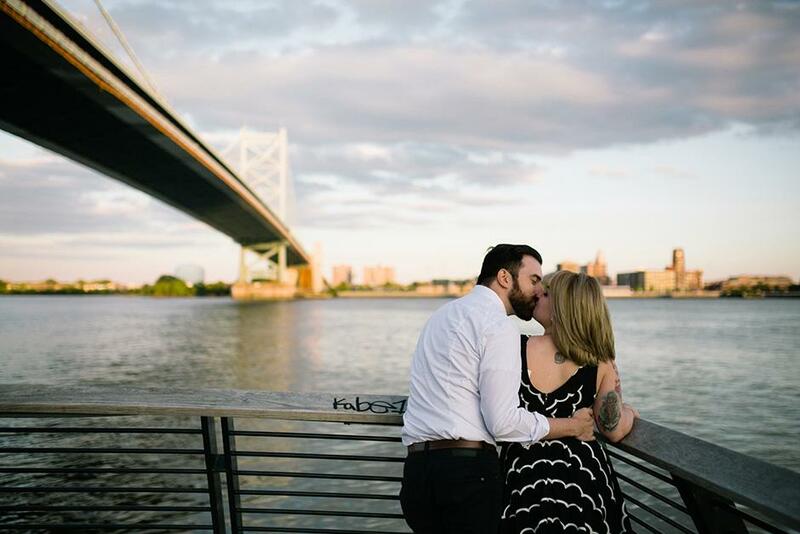 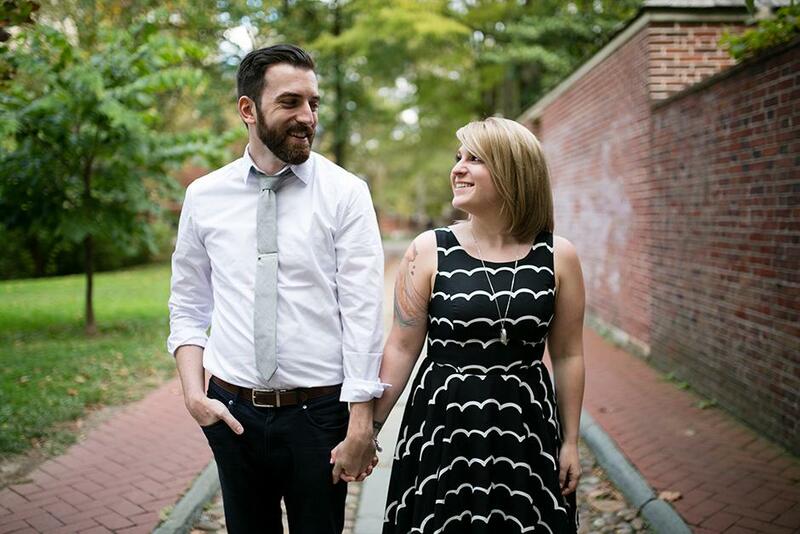 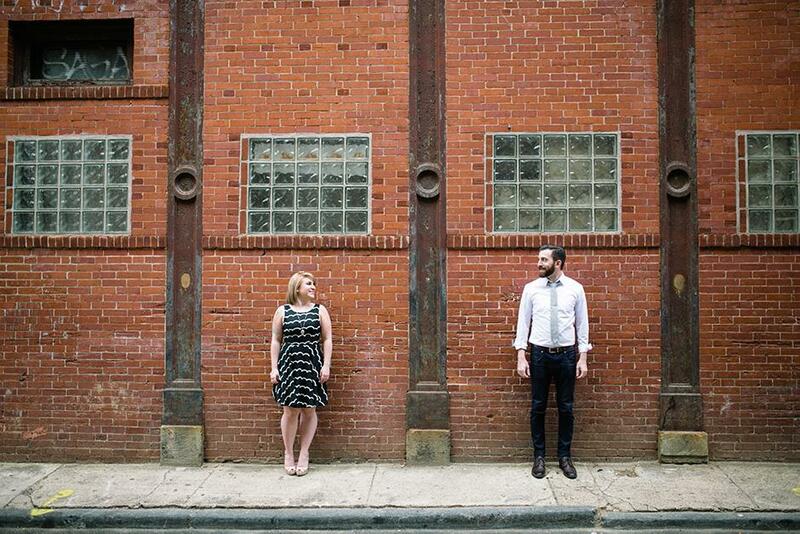 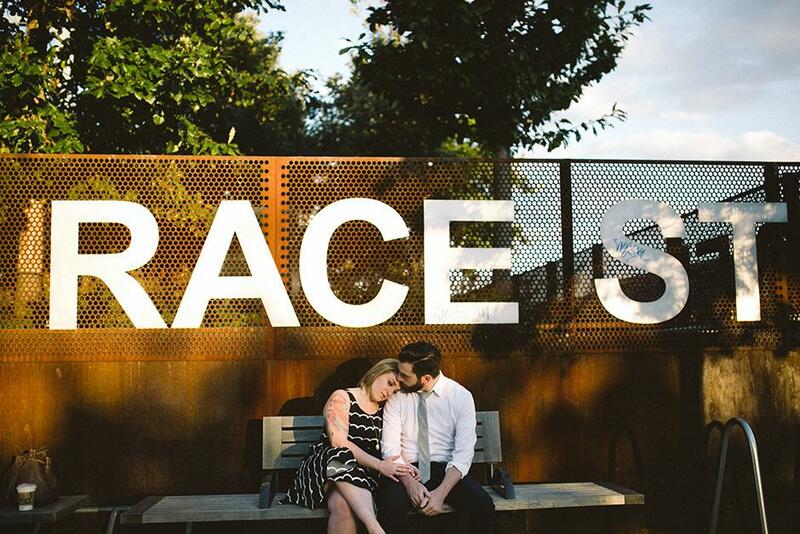 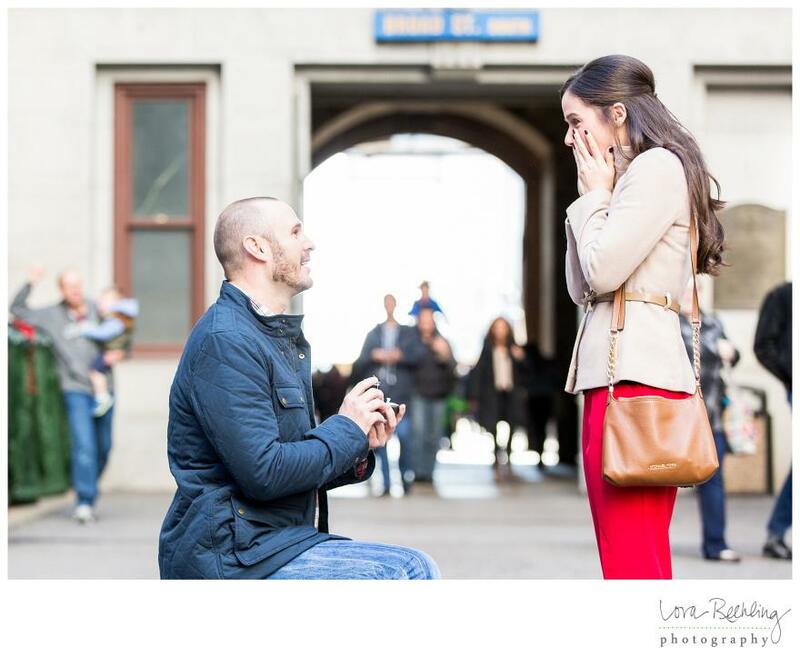 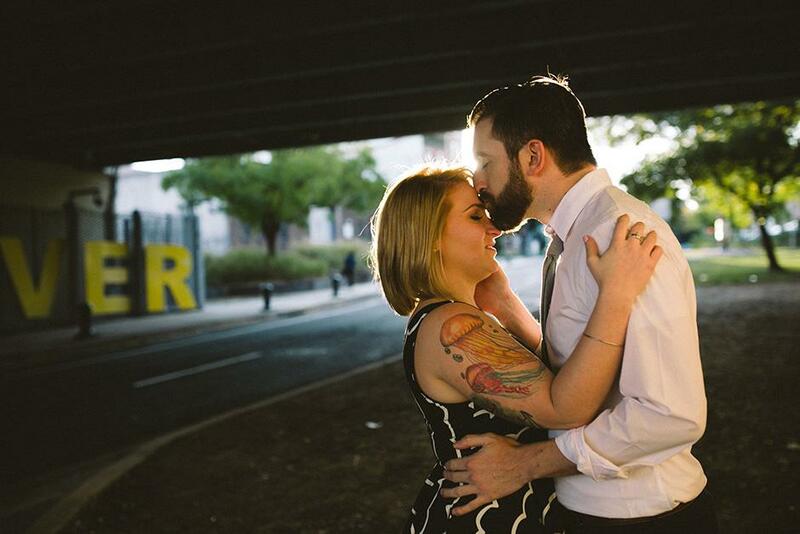 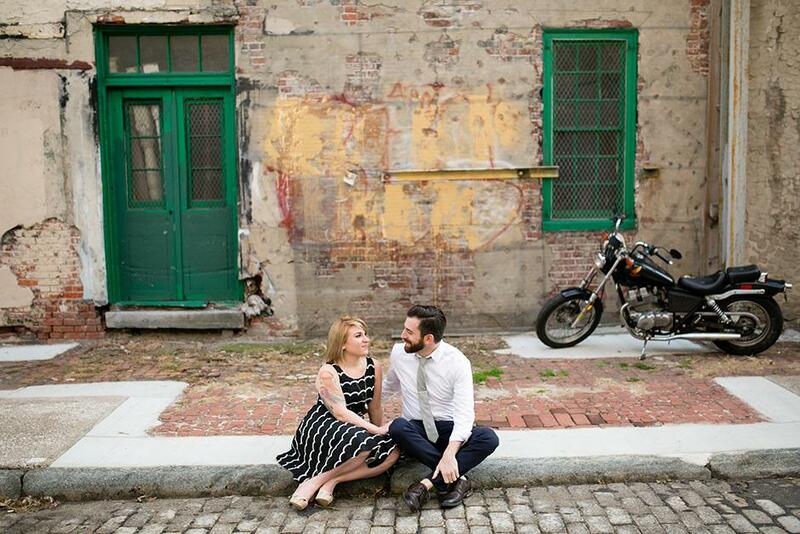 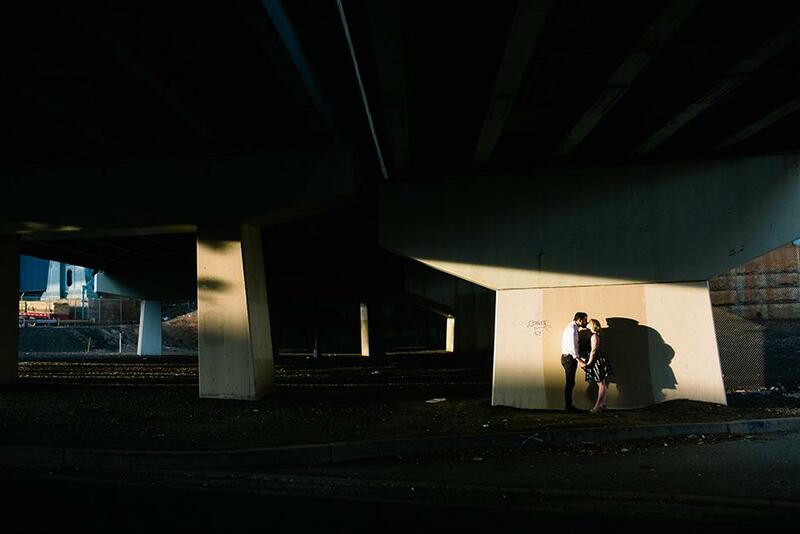 Erica and Dan’s urban engagement photo session is simply beautiful! 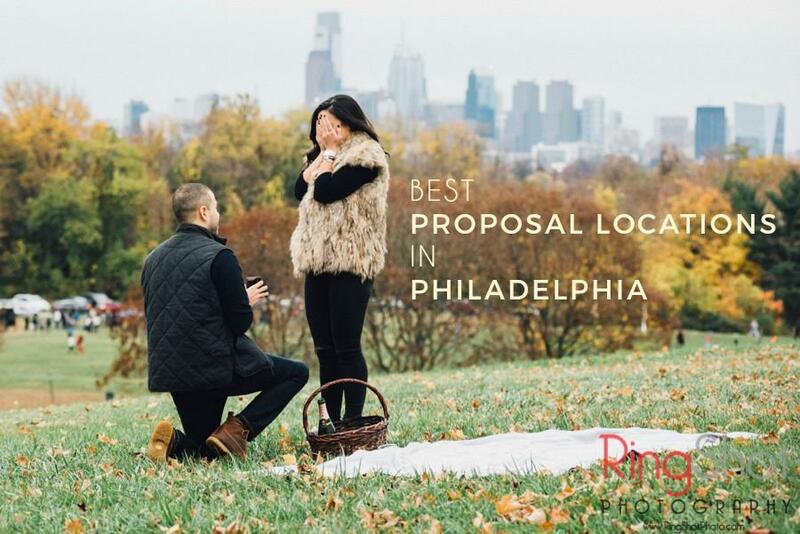 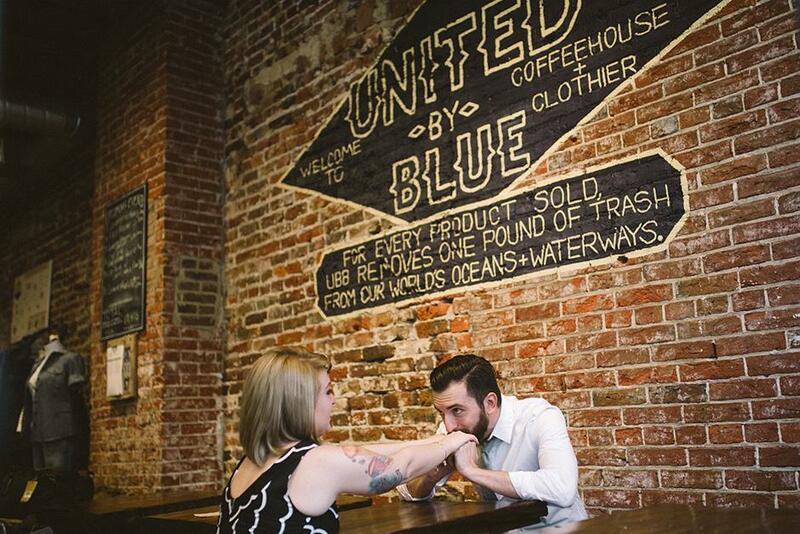 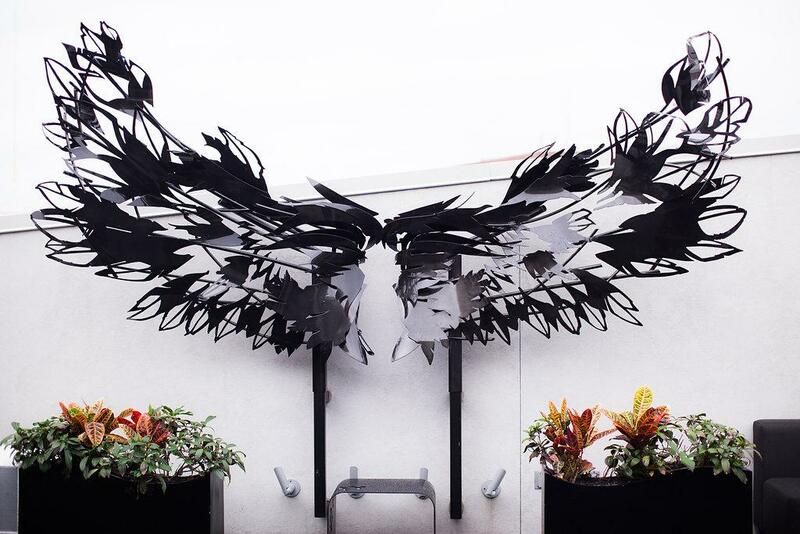 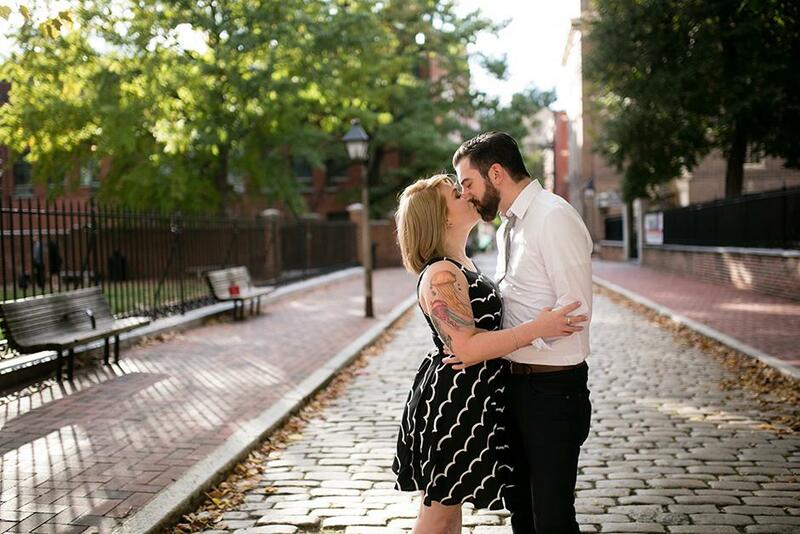 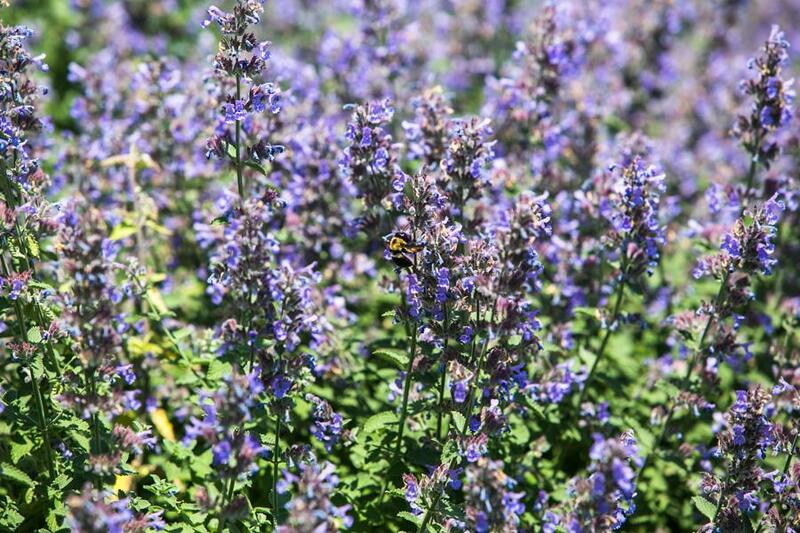 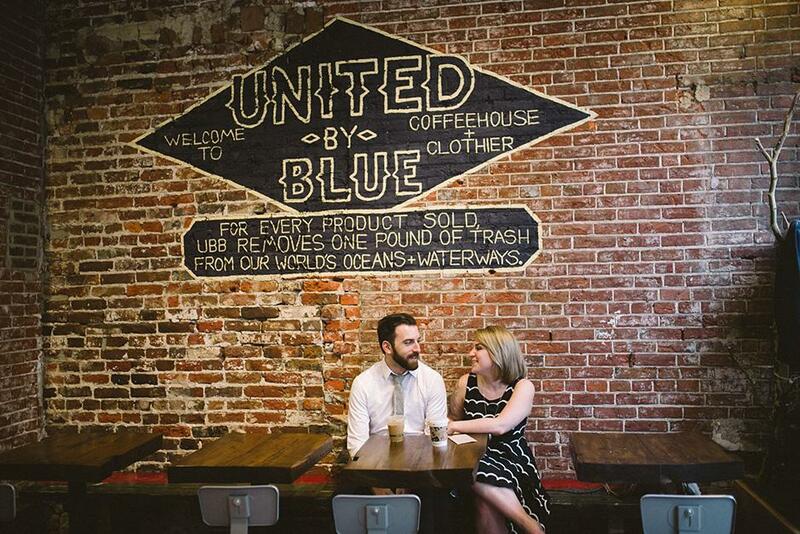 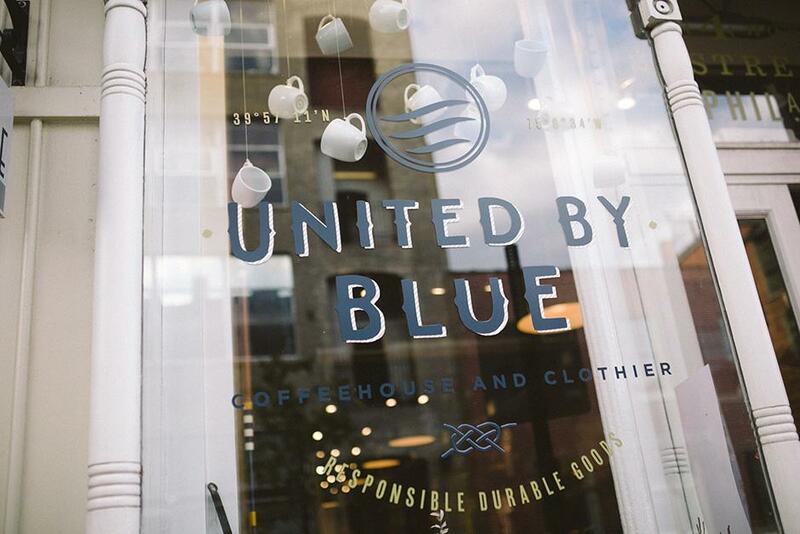 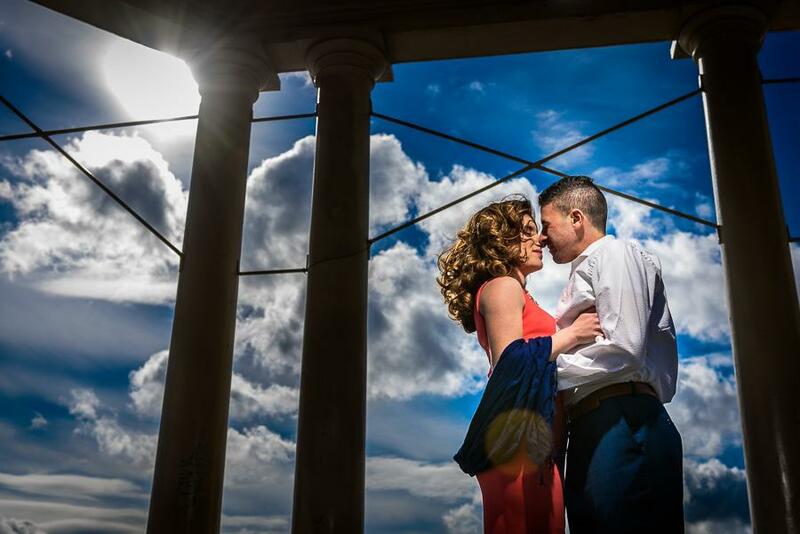 This amazing shoot which was captured by Inna Spivakova of Peach Plum Pear Photography, started out in Old City and ended up at Race St. Pier with a stop by United By Blue coffee shop in between. 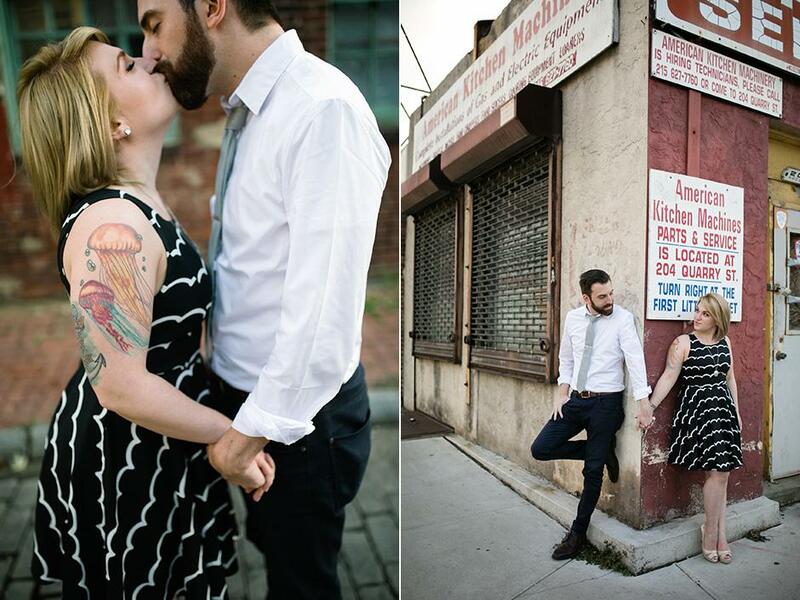 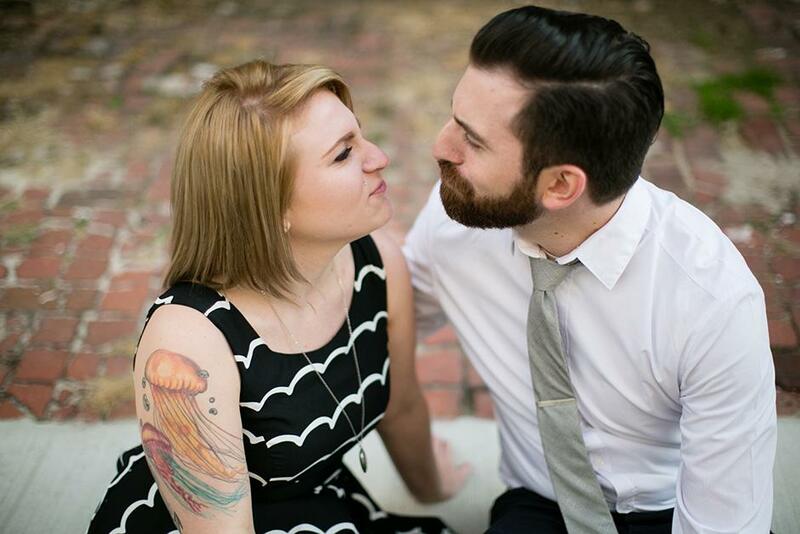 We love this couple’s chemistry and awesome style choices. 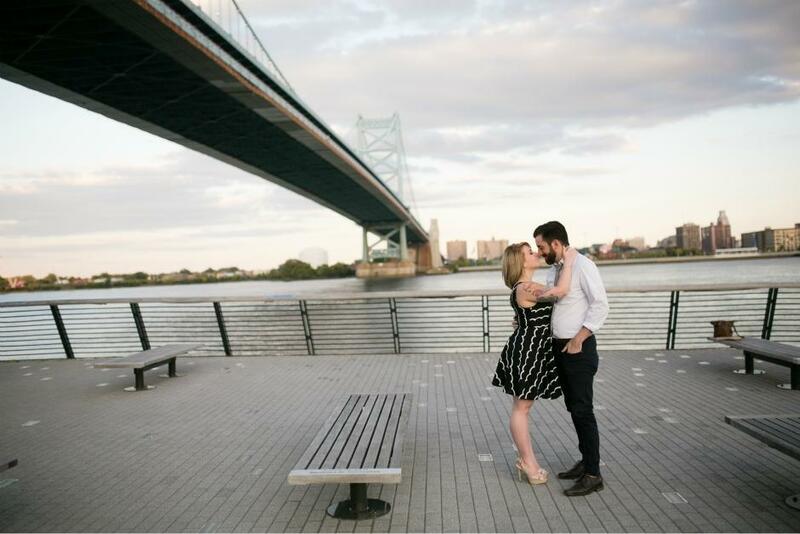 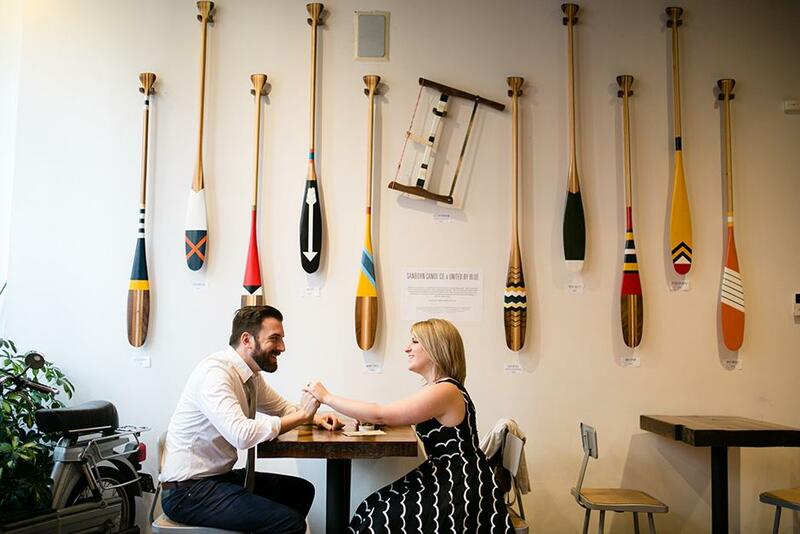 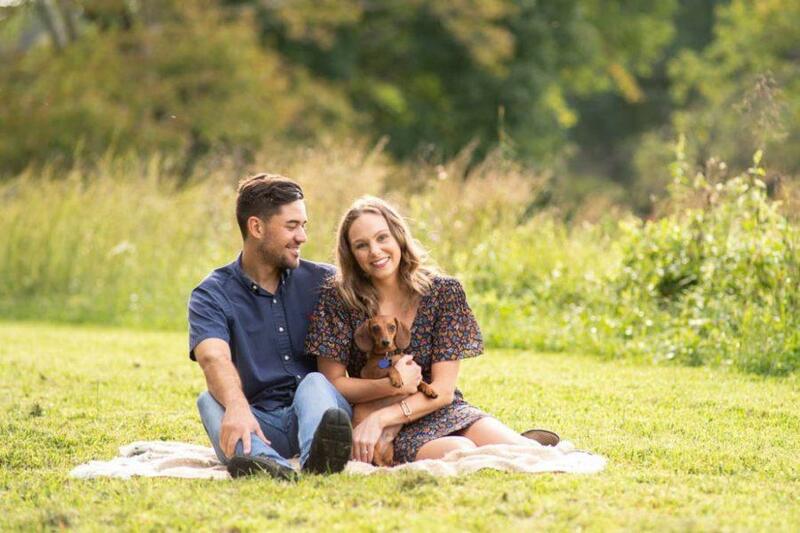 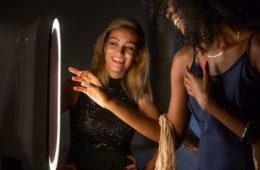 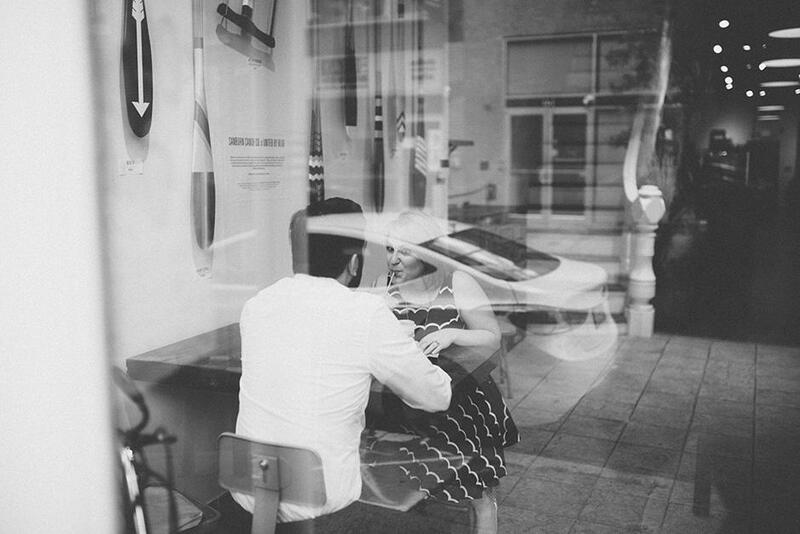 Thank you Inna for submitting this wonderful engagement session, we hope our readers enjoy it as much as we did!